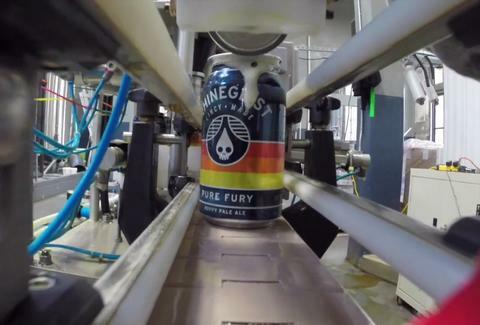 If you've ever wondered what it would be like to be a beer can, 1) that's kinda weird, bro (but we get it), and 2) you're in luck, because the dudes over at Rhinegeist Brewery in Cincinnati decided to put a GoPro camera inside one of their Pure Fury beer cans to find out once and for all what it's like on their canning line. Turns out you get jostled a whole bunch by other cans, there's a lot of conveyor belts and slides and overflowing suds, and everyone is pretty psyched when you make it to the end. Adam Lapetina is a Food/Drink staff writer for Thrillist, and wants to work at a brewery now. Read his musings at @adamlapetina.